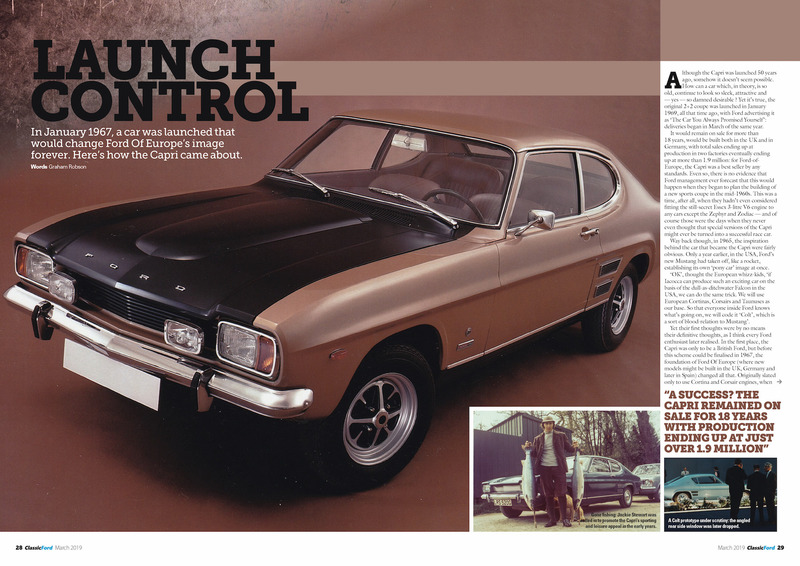 Join us in celebrating the Capri’s half-century with a 38-page tribute dedicated to Ford’s cool coupe in the Classic Ford March 2019 issue – out now – plus know-how on anti-theft tracking systems, how to restore rotten wings and much more! Happy 50th birthday, Ford Capri! From the stylish 1969 original to the last of the 1980s line-up, the Capri always remained ‘The Car You Always Promised Yourself’, and 50 years on it’s still instantly recognisable to anyone old enough to remember when they were a common sight on the road. 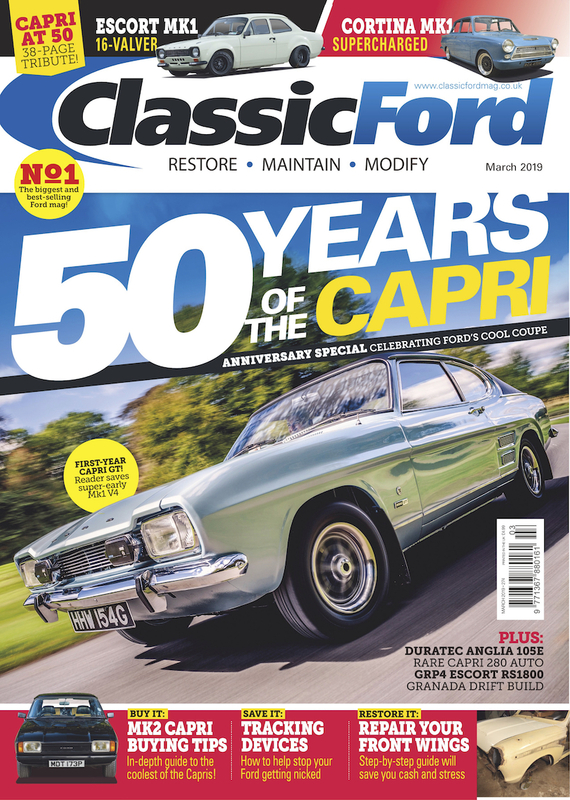 In the March 2019 issue of Classic Ford magazine – out now – we celebrate the classy coupe hitting the big 5-0, with a whole host of special features highlighting the car’s birth, production life and now new life as a bona fide classic. 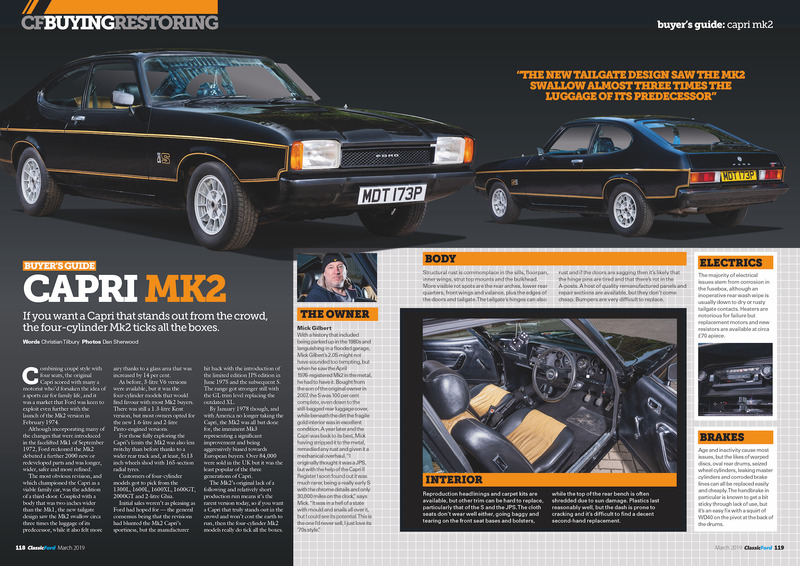 Find out how and why the Capri came about, and how Ford unintentionally created a new market segment in the process. 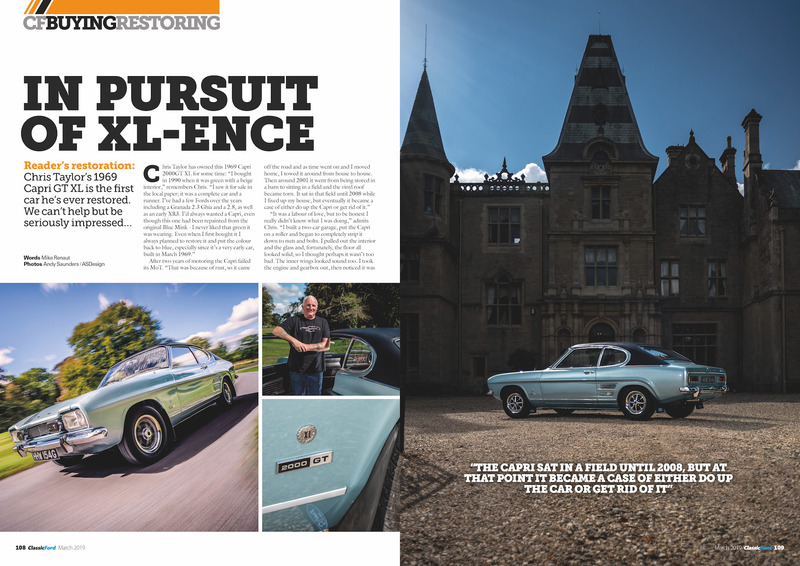 Original 1969 examples of the Capri are extremely rare, but Classic Ford reader, Chris Taylor has not only found one – a 2000GT – but finished a lengthy restoration of it just in time for the 50th celebrations. 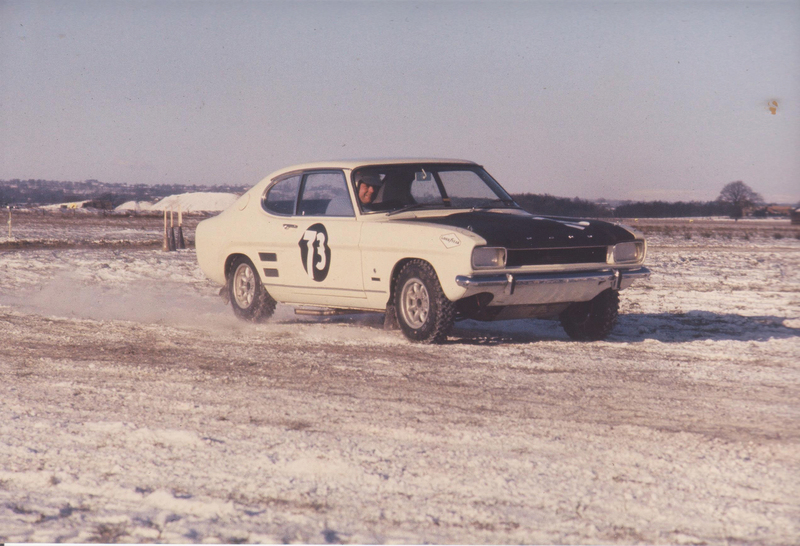 It seems hard to believe now, but back in 1969 millions of people tuned in to watch rallycross racing on ITV’s World Of Sport, and these special four-wheel-drive Capris were at the head of the pack. 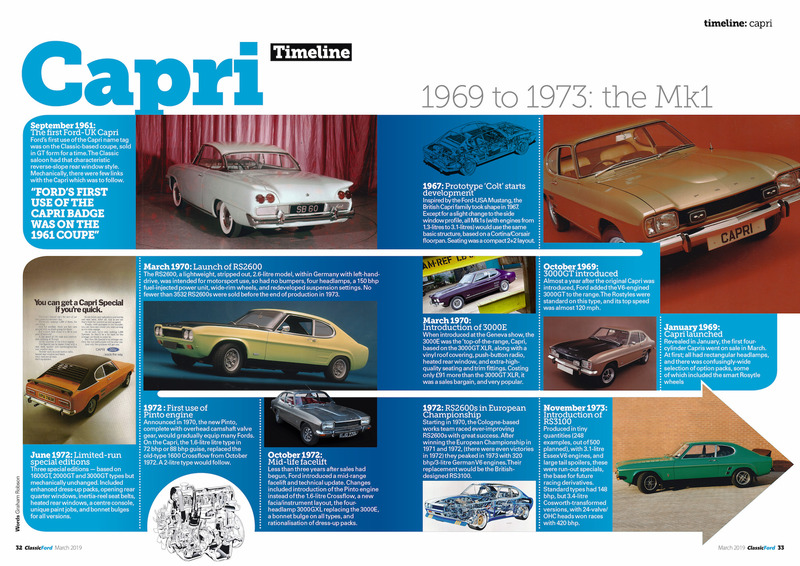 Know your Mk1 from your Mk2 and Mk3 Capri with our handy timeline and model guide. 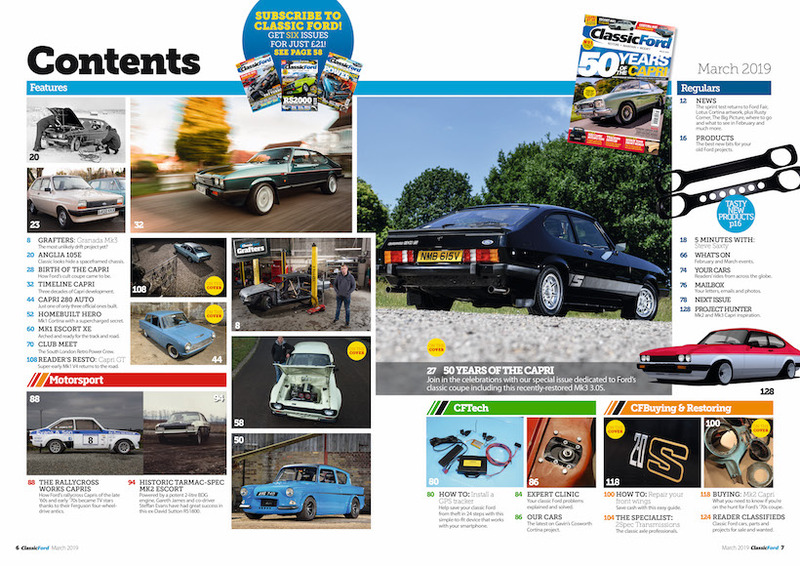 Plus all the buying advice you could need, if you’re in the market for a Capri.